Calumet Farm's Bravazo put in his final work leading up to next Sunday's Grade 1 Haskell Invitational at Monmouth Park, clocking 48.77 seconds for a half-mile over the Oklahoma training track listed as good. Hall of Fame trainer D. Wayne Lukas said the work was just what his colt needed. The Haskell, a “Win and You're In” for the Breeders Cup Classic, will be the first start since the son of Awesome Again finished sixth in the Belmont Stakes on June 9. Lukas, who has 14 victories among the three Triple Crown races, said the Kentucky-bred was a victim of the pace scenario. With the Haskell only a week away, Lukas is already planning for Bravazo to start in the Grade 1 Travers. “I tell you most of these horses after the Triple Crown are either tired, used up and need a little rest because that's a hard series,” he said. “Some of them will flourish and get stronger and fill up, and he's one of them. He's a very tough horse. Our schedule right now is the Haskell and the Travers. I think he's one of the horses that can handle that. Bravazo's lone graded stakes victory came in the Grade 2 Risen Star on February 17 at Fair Grounds. His Belmont start followed a sixth-place finish in the Kentucky Derby and a runner-up finish in the Preakness, respectively. Last year's Grade 1 Hopeful winner Sporting Chance is on target for the July 28Grade 2 Jim Dandy, and could also be on target for the Travers, Lukas said. The rambunctious son of Tiznow will make his first start since his sixth-place finish in the Preakness. The 82-year-old Lukas has his hands full with his Kentucky-bred. “Mentally, his gene pool kicked in. His sire was very difficult to train,” Lukas said. 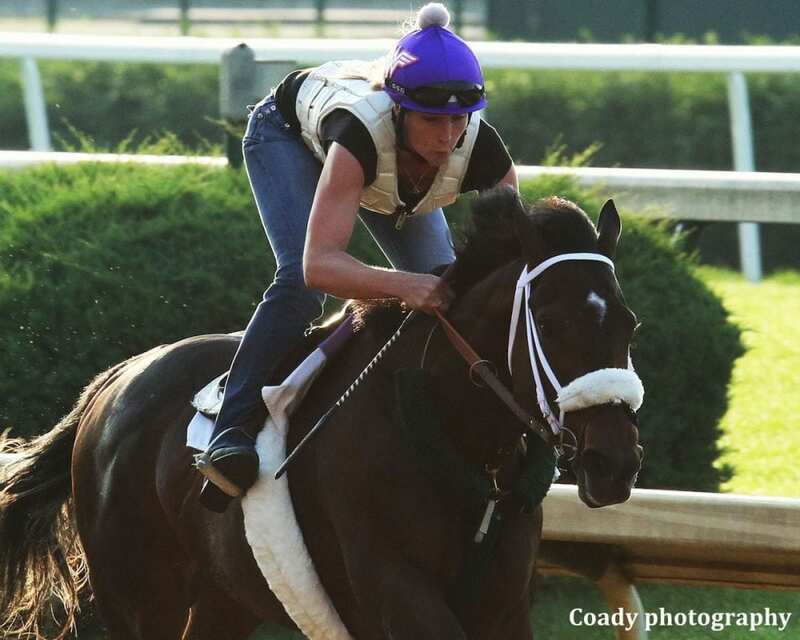 “Tiznow spent a lot of days going out to the racetrack, and never made it to the racetrack. A lot of people don't know that. He would lock up on the track and refuse to train. This entry was posted in Breeders' Cup and tagged awesome again, bravazo, Calumet Farm, d. wayne lukas, haskell invitational, Monmouth, monmouth park, saratoga, sporting chance, travers by NYRA Press Office. Bookmark the permalink.